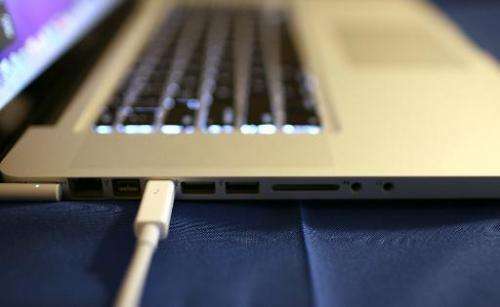 Reports said that China removed 10 Apple devices, including MacBook laptops and the iPad, from a government procurement list over security concerns. But the China Government Procurement News, which is run by the finance ministry, cited an unnamed ministry official as saying that Apple's goods had never appeared in the "energy-saving product list", which is updated roughly every six months. Computers, including laptops and tablets, have to be classed as "energy-saving" to be purchased by the government, according to a statement accompanying the latest list, posted on the finance ministry's website. The report late Thursday cited the official saying 10 Apple products had initially been on a draft list soliciting public opinions, but the company did not hand in relevant paperwork in time. It had therefore "never been included in the government procurement list of energy-saving products", the official was quoted as saying. Apple products are popular in China and long queues of buyers have often besieged the company's outlets when a new gadget is launched. But the California-based firm has also frequently become a target of criticism tinged with nationalist sentiment. Chinese state broadcaster CCTV last month accused Apple of threatening national security through the iPhone's ability to track and time-stamp a user's location, following a campaign in March 2013 orchestrated by domestic media on behalf of consumers critical of poor after-sales service. 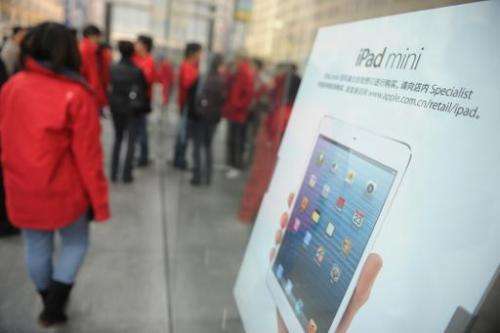 In 2012 the US company paid $60 million to settle a dispute with a Chinese firm over the iPad trademark.